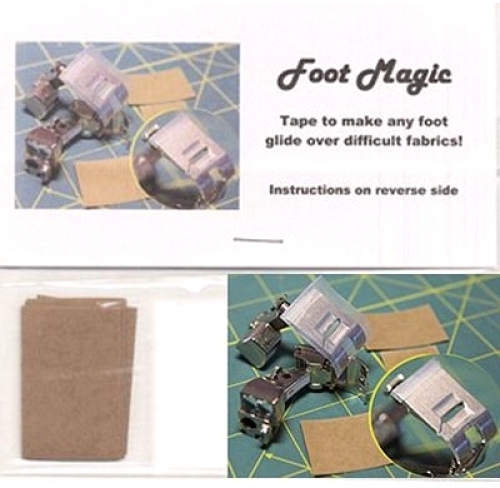 Small pieces of slippery tape to make almost any foot glide along difficult fabrics such as plastic, leather and painted fabrics. Tape is not permanent and can be removed when your project is finished. 5 strips per package.